I suppose my interest in Russian culture developed before I even knew what or where Russia was. My parents can attest to the fact that one of my first words was “Tchaikovsky,” (Yes – I knew the names of dead composers before the names of family members.) Tchaikovsky’s music later became the first thing I turned to if ever I needed solace, creative inspiration, or tranquility. I would venture to say that his “Violin Concerto in D Major” single-handedly helped me through depression and isolation during my early teen years. Last spring, my obsession for Tchaikovsky was renewed when I saw the opera, Eugene Onegin, based on Alexander Pushkin’s classic book of the same name. This opera (like most all of them) incorporates the themes of unrequited love and death, and ends with the audience feeling cheated of a happy ending. However, through this opera, I felt as if I gained a better sense of the Russian culture – despite the fact that Tchaikovsky’s music was often viewed by his contemporaries as too European. I was drawn to what I knew to be themes unique to Russia –manufactured society in contrast to the freedom of the Russian countryside, as well as the differences of class. The production of Eugene Onegin which I saw was not only sung in its native Russian (which utilized much of Pushkin’s original verse), but also by native Russian speakers, which brought a true sense of authenticity to the opera. Thus, I felt a lot of pressure in finding the right book for Russia. Despite having asked a wide assortment of individuals for suggestions, I always seemed to come away empty-handed. Knowing relatively little about Russia in comparison to other areas of the world, I did not want a book which focused on the negatives or challenges which Russia currently faces – but rather, a book which presented Russia in its glory. While attending an art show, I began a conversation with the President of my college about my search for a good read on Russian culture. 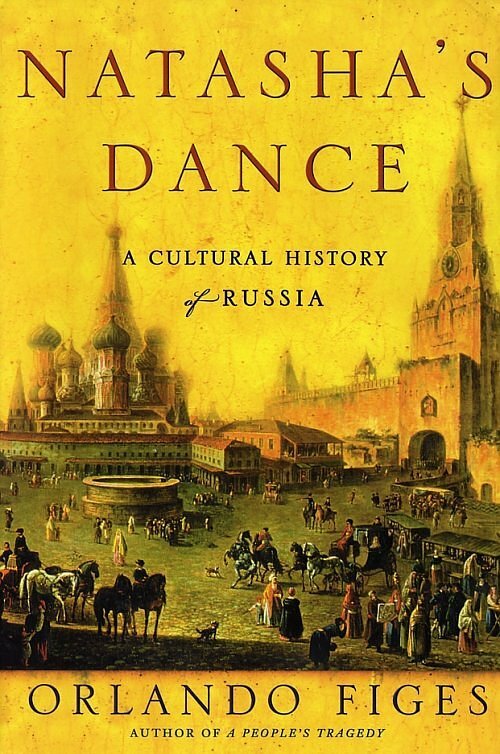 A great art and music appreciator, he suggested Natasha’s Dance: A Cultural History of Russia by Orlando Figes. The concept and development of national identity is a topic on which many of my recent college studies have focused. During the past semester, I took two courses that dealt with the culture of Germany. In one of these courses, I wrote a final paper entitled, “Die wechselnde Identität Deutschlands und seine aktuelle Rolle als europäische Führungskraft” or “The changing identity of Germany and its current role as a European leading power.” In short, I chronicled the changing identity of the German people following World War II – from nationalistic to European. I was very interested how this book documented the evolution of Russia’s national identity and explained the different forces which influenced this evolution. 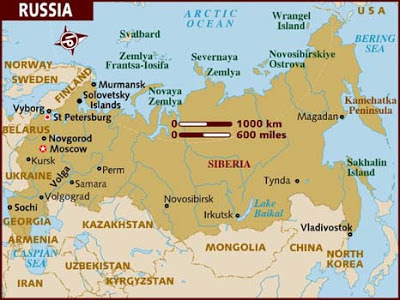 Russia encompasses more land mass than any other country – spanning across two continents: Europe and Asia. I find it particularly interesting to note that its neighbors range from Norway and Finland in the West to China and North Korea in the East. As one can imagine based on the diversity of people, geography, and cultures represented in this wide geographic range, the Russian culture has been influenced by many factors. Two examples of these factors include: 1.) Tsar Peter the Great’s insistence of developing Russia into a European power; and 2.) the Russian people’s embrace of Asia following imperial expansion into Central Asia. The author describes the influence of European cultural influx, by stating, “the aristocracy of eighteenth-century was aware of acting out its life as if upon a stage. The Russian nobleman was not born a ‘European’ and European manners were not natural to him. He had to learn such manners, as he learned a foreign language, in a ritualized form by conscious imitation of the West. Peter the Great began it all – reinventing himself and his aristocracy in the European mould” (page 43.) The Europeanization of Russia became an obsession for Tsar Peter the Great, who ruled from 1682 to 1725. Not only did Peter command the building of St. Petersburg, a gilded city made looking out to the Western world (in sharp contrast to the then conservative and religious Moscow), he also demanded that his nobility adopt European dress and forgo their native tongue to converse in French. Due to Europeanization of Russia, “in the eighteenth century the use of French and Russia had demarcated two entirely separate spheres: French the sphere of thought and sentiment, Russian the sphere of daily life” (page 103.) Napoleon’s invasion ended the acceptance for the French stronghold over intellectual Russian life – leading the way to a revival of Russian language, academics, and art. For centuries, Russia was truly only a civilization of aristocracy, constructed through the hard work of their serfs. However, as noblemen and serfs lived and worked together while repelling the invasion of Napoleon’s army, ideas of equality and democracy began to permeate throughout the young generation. The book ends with an interesting chapter dedicated to Russian culture under Bolshevik rule. The author notes that “the artist also had a central role to play in the construction of Soviet man. It was Stalin who first used the famous phrase, in 1932, about the artist as the engineer of the human soul” (page 447.) However, the Soviet vision of the artist was not one who creates new things, but one that chronicles and relays the Soviet message to others.